Belle Etoile’s pool is the selling point for me. 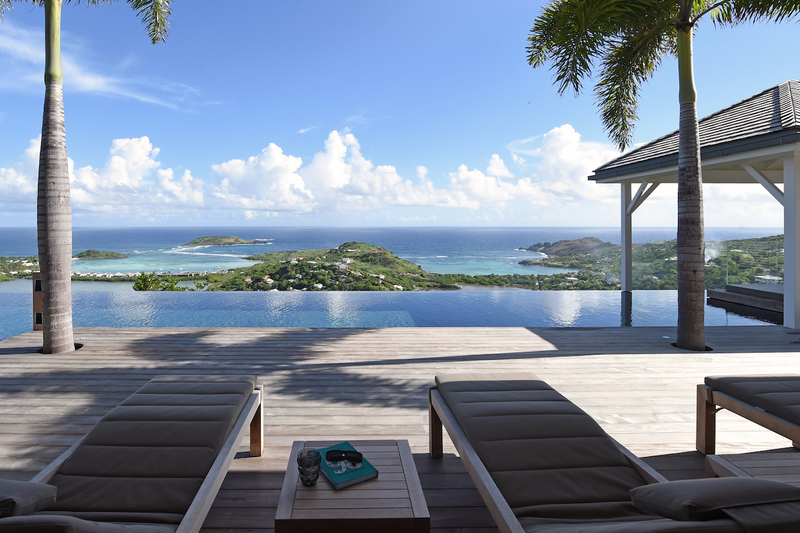 The view of the island and ocean is amazing, and the pool is long enough to swim laps in. The large and numerous windows bring nature in, which is better than any artwork man could design. Villa Belle Etoile is a 5-bedroom villa located in Vitet within a 10-minute drive from the beach and shopping. The living room and kitchen open to Caribbean breezes and the pool deck. The living room furniture is waterproof, which is ideal after swimming in the pool. The gourmet kitchen is well equipped, while the large dining table offers seating for up to 10 guests. A separate building houses the other 4 bedrooms, each with a European king-size bed and ensuite bathroom with a shower. The bedrooms on the lower floor have connecting doors, which are ideal for teenagers or a nanny.